Group Of Teenage Girls Are Walking Down The School Hall With Books And Laptops In Their Arms. They Are Talking And Laughing As They Walk And There Is A Female Teacher Using The Printer. Royalty Free Fotografie A Reklamní Fotografie. Image 73002984. Reklamní fotografie - Group of teenage girls are walking down the school hall with books and laptops in their arms. They are talking and laughing as they walk and there is a female teacher using the printer. Group of teenage girls are walking down the school hall with books and laptops in their arms. 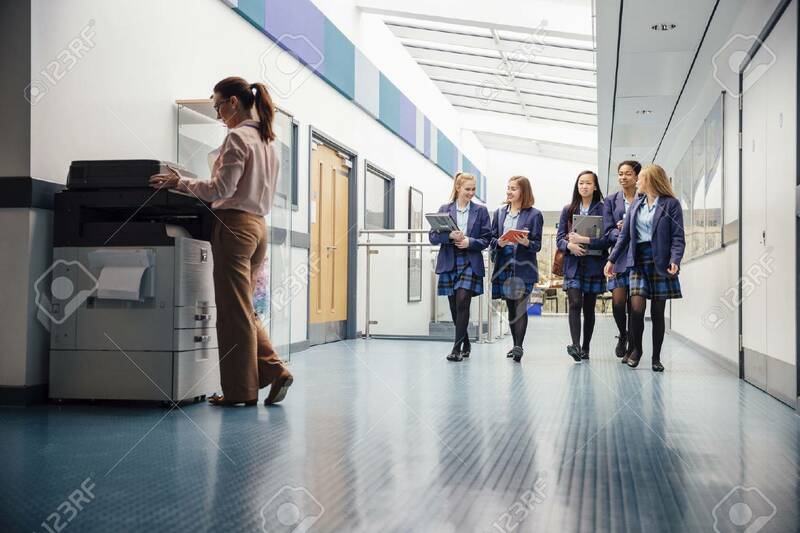 They are talking and laughing as they walk and there is a female teacher using the printer.